We’re excited to welcome Buckin’ Brew Espresso to the group of independent coffee shops, cafés and bakeries that we support in 36 states. The shop at 4789 West Yellowstone Highway just outside of Casper, Wyoming was one of 20 new independent coffee shops that opened in 2017 through our 7 Steps to Success coffee franchise alternative program. 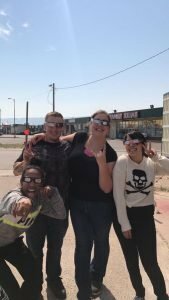 The Buckin’ Brew crew during last year’s solar eclipes. In creating Buckin’ Brew, Abby brought years of experience as a barista in another coffee shop and her love of serving guests. Kendra added financial backing and business acumen. Together, they renovated a 1960’s gas station to create a double sided, drive-thru-only location. The mother-and-daughter team learned how to open a coffee shop through our 7 Steps to Success coffee shop franchise alternative program. Based on Greg’s Book, Seven Steps to Success in the Specialty Coffee Industry, the program has helped hundreds of independent coffee shops develop into thriving businesses over the past 26 years. “We both wanted a roasting partner that would provide some of the best coffee and coffee house products around,” Abby said. The new coffee shop serves a full menu of hot, iced and frozen espresso drinks – including mochas, lattes and cappuccinos – as well as iced coffee and tea, cold-brewed coffee, hot chocolate, fruit smoothies and other custom drinks. Its top seller is a white chocolate mocha with caramel drizzle. 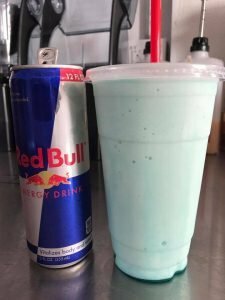 In addition to coffee drinks, Buckin’ Brew serves Infused Red Bulls that combine the energy drink with flavored syrups. Local baked goods round out the menu. Greg noted that Crimson Cup supports independent coffee businesses like Buckin’ Brew from concept through success. 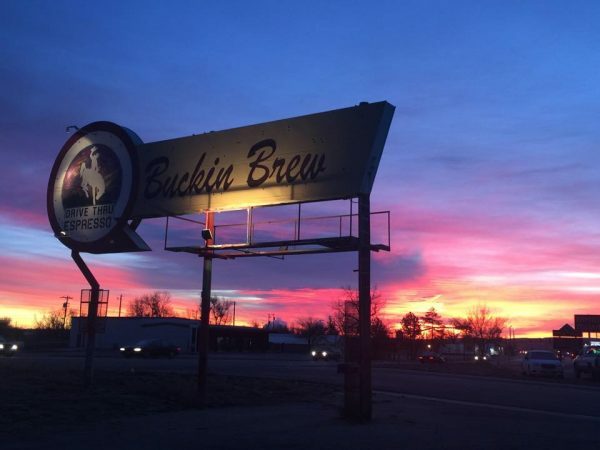 We look forward to a long and prosperous relationship as Abby, Kendra and their team grow their Buckin’ Brew business. To see the latest happenings at the shop, follow the Buckin’ Brew Facebook page.